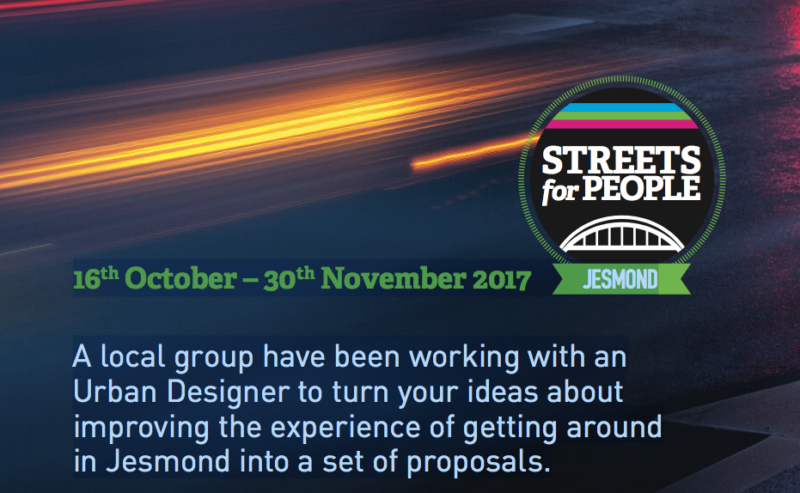 Click for the latest newsletter from the Friends of Jesmond Dene. Zoom around the doc to read it at full size. The Friends of Jesmond Dene and the Volunteer Rangers actively work to improve the Dene, assisting the Council Rangers with practical works and events and funding projects to enhance the Dene. We are very aware of the impact that the Council’s austerity measures have had on the City’s parks in recent years in terms of vastly reduced maintenance and cleansing. We share your frustration regarding litter being thoughtlessly dropped in the Dene by a minority of park users. We would ask that everyone takes responsibility for their own litter. 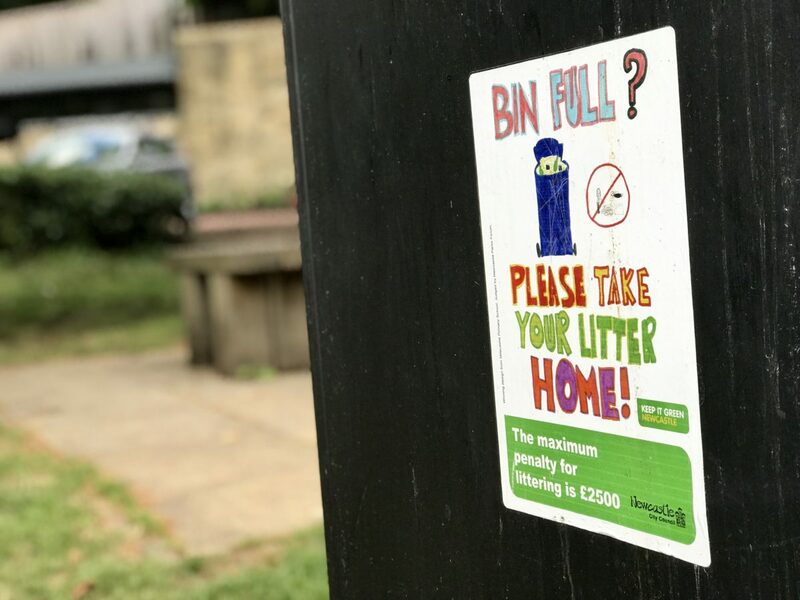 Please put it into one of the large bins throughout the Dene or, if the bins are full, take it home with you to put in your own domestic bins. If any of you would like to get involved in an organised litter pick in a particular area of the Dene, please email Sarah or Mike, the Park Rangers. Happy birthday to us! 40 years young. And to celebrate, here’s the latest newsletter, packed with current and historical information. Go full-screen for the best effect. Or, download it as a PDF.. Barriers on Armstrong Bridge mean the Google Street View camera car has to come to a grinding halt. This means there’s no way of taking a virtual journey across the bridge on your computer, tablet or smartphone. Until now, that is. The webmaster for Jesmonddene.org.uk has linked together a number of 360-degree “sphere” photos and, by clicking forwards or backwards in the usual Street View manner, you can now access Armstrong Bridge from the comfort of your connectivity package, spinning your point-of-view to your heart’s content. In the fullness of time these spheres will become a seamless part of Google Street View. 1. Duration: 10am 1st October 2017 – 10pm 31st October 2017. 2. Judge: Neil Atkinson, professional photographer, tutor and writer. 3. Entrance: free of charge with online registration. 4. Categories: 16 or under, 17 or older. 8. Submission of images: Online via our Facebook page or post/deliver to: Ouseburn Park Visitor Centre (Ouseburn Park Visitor Centre, Red Walk, Jesmond Dene, Newcastle Upon Tyne, NE7 7BQ). 9. 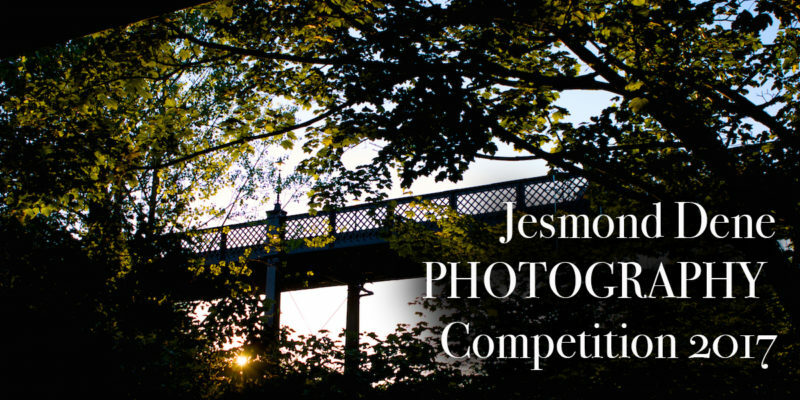 Copyright: The photographer retains copyright to his/her image but grants Friends of Jesmond Dene, Neil Atkinson Photography and Digitalab permission to use the image for any publicity purpose, with printed credit, at any time. 10. Any submission must be the work of the named participant. 11. Status: Only submissions by amateur photographers are permitted. The competition is not open to professional or semi-professional photographers or members of their immediate families. 12. Photo Walk on Launch Date: 10am 1st October 2017 – meet at Ouseburn Park Visitor Centre (Red Walk, Jesmond Dene, Newcastle Upon Tyne, NE7 7BQ). All Under-16 participants must be accompanied by a parent or guardian. 13. All participants and accompanying adults accept full responsibility for their own personal safety whilst taking part in this competition. 14. Communications and Enquiries: Via Facebook page. 15. Condition of Entry: By entering this competition, all participants and their parents/guardians, are deemed to accept the above rules. A Government initiative to make it easier for people to locate and access greenspaces has launched today with the release of a new database and interactive digital map identifying accessible recreational and leisure greenspace in Great Britain. And, naturally, Jesmond Dene is one of the “green lungs” that can be zoomed into on the new map. Delivered by Ordnance Survey, the free map contains data from OS and other sources, and can be used immediately, for free, through the popular leisure mapping app and online service, OS Maps. This comprehensive map of Great Britain’s greenspaces is also available as an open dataset, called OS Open Greenspace, for communities, businesses and developers to create products and services that will encourage healthier and greener lifestyles. Since the Greenspace map was reaffirmed as a commitment in 2015, OS has worked in collaboration with a large number of Non-Government Organisations and Government partners to compile the OS Open Greenspace dataset and digital map. Accurately depicted within the dataset is the location and extent of recreational and leisure features and, for larger sites, their access points. Example features included in the data is every public park in Great Britain, every play space, playing field, golf course, public garden, bowling green, allotment and more. Universities and Science Minister Jo Johnson said: “Greenspaces are a vital part of our landscape and this new database and online map will make it easier for people across the country to access greenspaces and lead healthier lives. 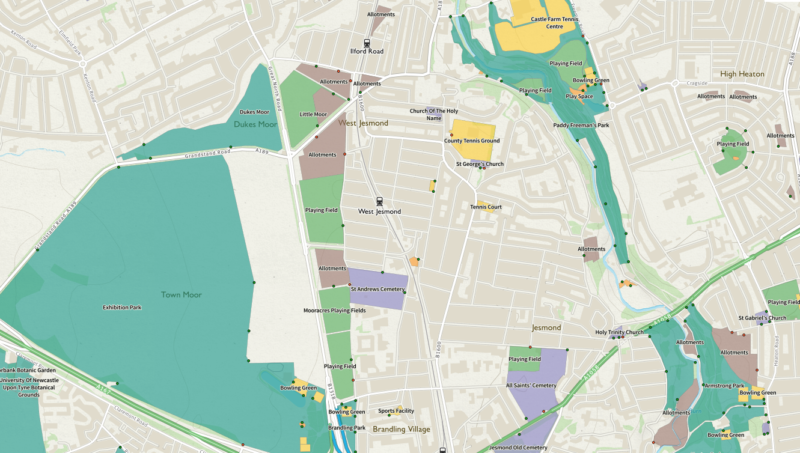 OS has also produced OS MasterMap (OSMM) Greenspace, a public-sector version of the greenspace map made available through the Public-Sector Mapping Agreement and One Scotland Mapping Agreement. Aimed at giving the public-sector accurate and up-to-date geospatial data to improve planning, analysis and decision making, OSMM Greenspace contains the location of all publicly accessible and non-accessible greenspaces. It is hoped the dataset will prove instrumental in helping the public sector create and manage health and wellbeing strategies, active travel plans and various environmental initiatives that include air quality, biodiversity, housing regeneration and flood resilience.